​Isabelle Truchon., CSW and Peter Leonard-Morgan, Realtors with Hunt Country Sotheby's International Realty, both licensed in Virginia, specialize in representing buyers and sellers of Virginia vineyard and winery properties. 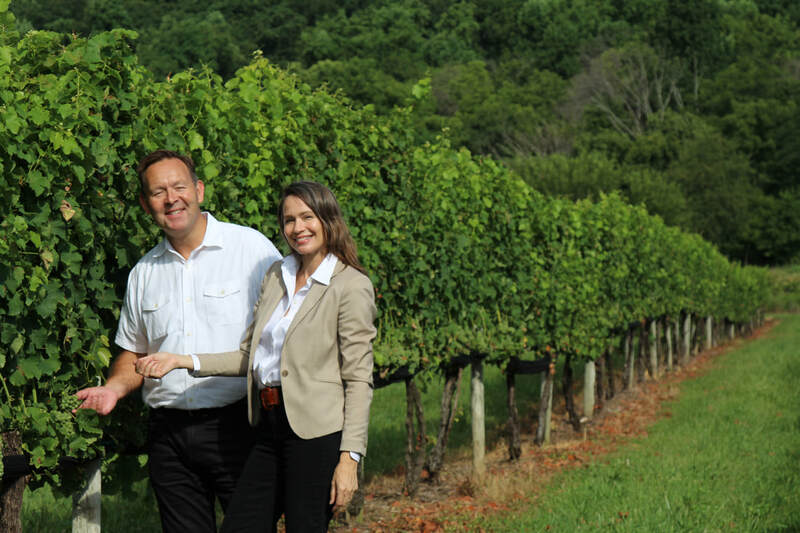 They are now joined by Mark Malick, an expert in the winery and vineyard business who, together with his wife Maggie, own Maggie Malick Wine caves in Loudoun County. We invite you to scroll down for more about what we do, and navigate our website to discover beautiful properties and fascinating information about this wonderful industry. Hunt Country Sotheby's International Realty is proud to present a selection of iconic Virginia vineyard winery properties for sale. Located in the heart of Virginia's wine and hunt country, in the towns of Middleburg and Leesburg, Hunt Country Sotheby's International Realty is a long established real estate broker specializing in unique properties and estates. We invite you to peruse our dedicated wineries and vineyards for sale website and please let us know if we can assist you or yours with a sale or acquisition project. The delightful wine properties presented here are not the only ones we know of, so take advantage of our resources and contact us today. Please note that not all properties shown are necessarily listings of Hunt Country Sotheby's Realty, but may be listed by industry colleagues also involved in winery offerings.